Sales is an exciting, interesting career that exposes you to many different people and challenges. But there can be slow periods or times when a feeling of monotony can set in. Usually it’s temporary – everyone has days where they just don’t feel like being there or working much. The problem is when it becomes sustained drudgery and unhappiness seeps in along with the tedium. A primary cause of boredom is when you think you have nothing to do or the job simply isn’t challenging enough. This can happen in industries that have seasonal cycles or during the summer months when many prospects and clients are out of the office on vacation. 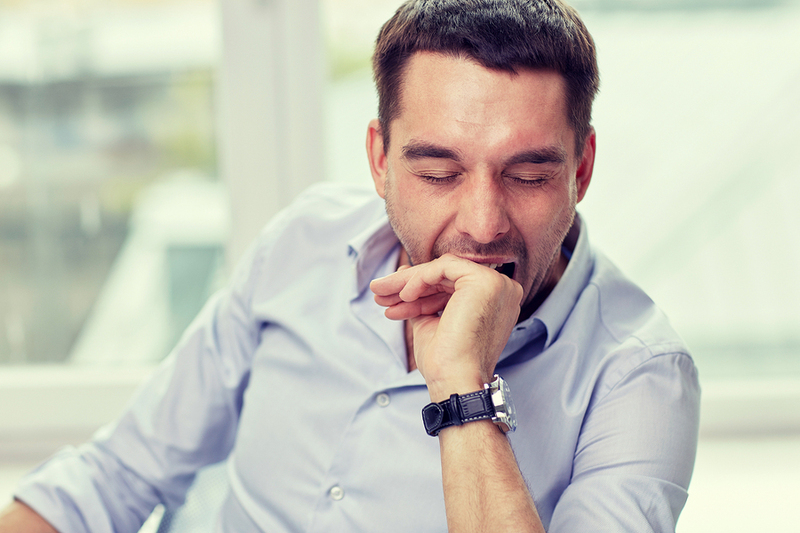 Here are four tips you can implement to ensure your sales boredom is short lived – putting you back on track to achieving your sales success. Review your wins and losses. When there’s no demands on your time, you have the perfect opportunity to go back over previous opportunities. Which ones were successful? Which failed? And why? This is a great space for personal development. You can do a deep dive to figure out what you’re doing well and what and how you can improve. This will help make you a better sales professional because you’re actively engaging in self-critique and exploring how you can refine your skills or try different tactics. Engaging in self-review has the added bonus of making you better prepared for sales coaching meetings and development. Periods of inactivity are prime time for attending to housekeeping duties (literally). You can go through your CRM and documents (whether paper or digital) and reorganize them in ways that are logical for your thought process and will make them easier to find when you need to retrieve them. You can also take this opportunity to purge old files or documents that are no longer needed. Another aspect of digital cleaning involves going through your CRM to update and maintain your customer data. It’s one of the most important tasks you can perform, but it’s also something many sales professionals neglect when they’re busy, then forget about when they have free time. Keeping on top of your CRM will make your sales process run more smoothly and successfully. Training isn’t limited to the formal events your organization puts on each year. You can take advantage of downtime to acquire new knowledge and test new skills. Read a few business or sales books, delve into the latest research in your vertical, catch up on sales blogs (like ours!) – there’s no end of possibilities to consider here. A growing mindset is critical to long-term sales success. Harsh truth pill time. Remember when you were a kid and complained to your parents you were bored and had nothing to do? If you have children yourself, you’ve probably heard this refrain before. It all points to a poor attitude and lack of self-motivation. So kick that funk by using whatever motivates you to get busy. Maybe it’s a favorite playlist. Maybe it’s going through some of your previous work with an eye towards seeing how you’ve grown. Maybe you’re born with it. Maybe it’s Maybelline (okay, the last two are a joke, but still one of our favorite taglines and meme sources). Like the kids who complain they don’t have anything to do, that doesn’t mean it’s the case. There’s always something to do – it’s just a matter of finding what you didn’t have time to do before that can help you keep productive and even creative. One option to consider is to keep a document stashed away where you write down ideas of work-related projects you’d like to do when you have time as you think of them. Then, when you’re in bored, dig up that list and pick one to work on. Boredom during slow periods doesn’t mean you can’t be productive. You just need to adjust your mindset and get a fresh sense of curiosity about things (a common thread that runs along each of our four suggestions). Try some of the options we’ve proposed next time you’re drumming your fingers. It might just be the tonic you need to get invested again. What strategies do you use yourself? Let us know in the comments!